ANNOUNCEMENT: The Token Sale starts on February 1, 2018 at 8PM (GMT+8) and will end on February 28, 2018, 8PM (GMT+8). +10% extra tokens only on February 1 (Day2) and February 2 (Day3). 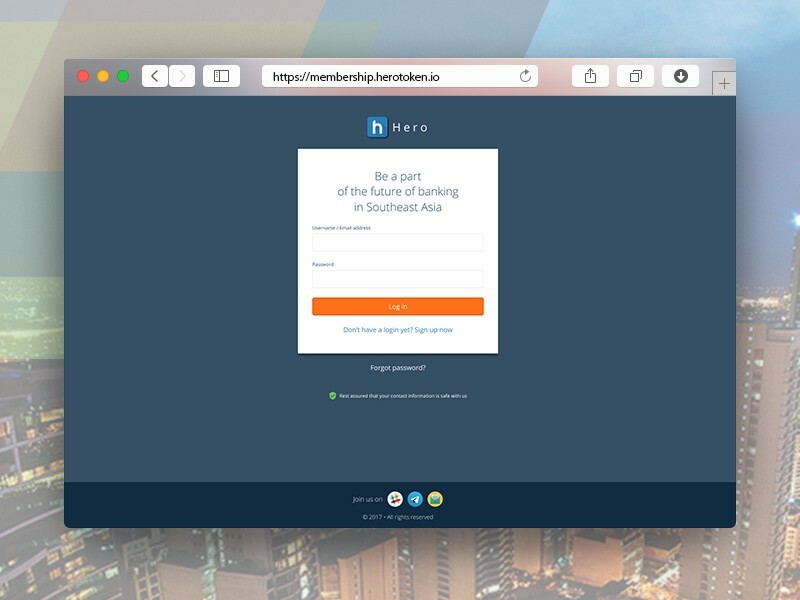 Log-in to your Hero Dashboard. If you don’t have an account yet, follow this tutorial on how to create one. Once on your dashboard, click on the Buy Hero Token button at the top right corner or on Token Sale in the left navigation. You will be directed to a small panel showing the terms and conditions. Tick the checkbox to accept and to proceed. Choose which currency you want to use to purchase Hero Tokens with. 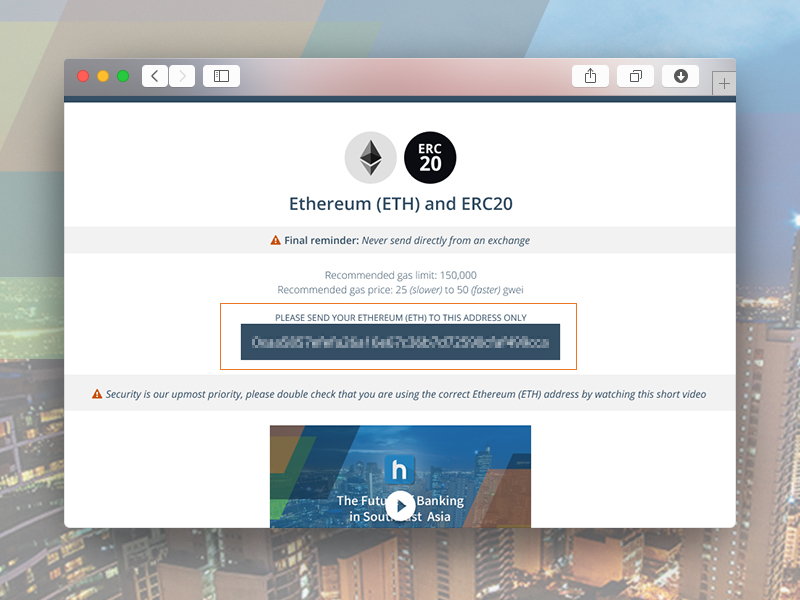 WARNING: Do not use send ETH from an exchange. Any attempts to send ETH directly from an exchange (such as Coinbase, Kraken, Polioniex, etc.) during the sale will result in an inability to purchase Hero token, and your ETH may be permanently lost. Once you’ve selected a currency, you will see the contract address for that particular currency. Send your contributions to this address. If you need help on this, check out our tutorials on how to send contributions via Ethereum or Other Currencies. IMPORTANT: Make sure you are sending to the correct address by cross-checking the last 5 digits on the website with the ones on these videos. Set your gas limit to 200,000 (recommended) and gas price (gwei) to either 25 (slower) or 50 (faster). As long you’re sure that the address you’re sending to is correct, go ahead and send it now! If you used ETH to contribute, this is the last step — congratulations! Note that you can expect to receive the tokens at the end of the token sale (February 28th onwards). If you used any other currency than Ethereum, you need to take the additional steps shown below. You need to send us your signature via this Hero Token Transaction Signature Form, also can be found on the website. This process might be tricky if you’re doing it for the first time. Best if you check our tutorials below and do your own research as well. How can I see my HERO Token Balance? Got other questions? Email us at tokensale@herotoken.io or send us a message on on Telegram.